SIBRIDGE consists of a varied team of professionals with deep experience from a variety of disciplines. Our team consists of experienced leaders who have a deep operating knowledge of the technology industry. All have been leaders in Fortune 1000 companies. The end result is leaders who are as comfortable in the boardroom as they are in the data center. They can lead complex technology initiatives, while positively impacting the organizational dynamics of an executive team. 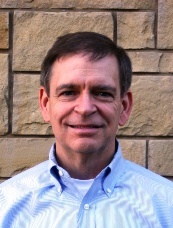 Bill's career spans over 25 years in strategy development, process optimization, enterprise architecture and systems delivery at Sprint, GTE, and PSINet Consulting Solutions. He is the President and Founder of SIBRIDGE and is responsible for establishing the firm’s core values and business strategy. Bill also serves as the firm’s Management Consulting practice director, where he is a trusted advisor to senior executives, helping them create strategies and institutionalize critical disciplines for their organizations and corporations. He works side-by-side with stakeholders to create effective and efficient team structures, processes and solutions. Bill’s broad experience base, total commitment to success, and down-to-earth leadership style are the talents that clients most often mention when describing his value. He leverages multiple perspectives at engagements to establish a consistent context and represent complex concepts, ensuring subsequent discussions are targeted, direct and of high value. The end-result clarifies vital strategies, disciplines and solutions in a manner that unifies, aligns and mobilizes organizations. Bill earned an B.B.A. degree in Management from Marshall University. As Chief Operating Officer, Van will focus on SIBRIDGE’s operating model, including new “X As A Service” offerings, supply side readiness including partnerships, and internal operational efficiencies. Van brings 30 years of technology oriented experience to this role, including Enterprise Architecture, Business Intelligence, Data Analysis, OSS/BSS Architectures, DevOps Architecture and many other technology-centric initiatives to the telecommunications and consulting industries. In addition to developing a broad range of skills across multiple technology practice areas, Van has extensive breadth and depth of consulting experiences to draw from in order to facilitate laser focused solution assessment, design, and implementation . His experience as a consultant brings a broad variety of skills to bear, including management, marketing, customer management, business process, and requirements analysis. Van is a SIBRIDGE alumn and has held positions at Sprint, UNISYS, WilTel, Worldcom, McleodUSA and Cisco Systems. In addition, Van has created and run several corporations. Van has a degree in Electronics Technology from the National Institute of Technology along with various industry certifications. Bruce is a results-oriented leader with the ability to create a compelling vision, and then translate that vision into action. 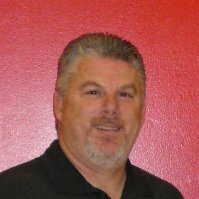 Bruce has broad-based experience enabling business transformational initiatives with business capabilities mapping, business process modeling, applications rationalization, and the development and execution of roadmaps and transition plans encompassing As-Is and To-Be business, data, application and technical architectures based on industry standard EA frameworks (TOGAF). He has led large teams in a multi-cultural, multi-discipline, multi-location environment. Bruce has earned the following degrees: Master of Science in Electrical Engineering, Air Force Institute of Technology; Master of Science in Systems Management, University of Southern California; Bachelor of Science in Electrical Engineering (Honors), University of Texas at Austin. Mark is an Enterprise Architect with over 20 years’ experience in developing and supporting large distributed and mainframe systems. He is proficient with distributed architectures and full life cycle systems integration with an excellent balance of managerial, technology, and communication skills. He has experience in developing IT Roadmaps, business-IT alignment strategies, change management mitigation, technology assessments and analysis of the technology industry and market trends. He also has experience with infrastructure development including deployment planning and execution, application and network monitoring strategies, end-to-end application performance assessments, virtualization strategies and network infrastructures. Mark is an accomplished leader with a track record of leading large and small teams in delivering of profitable service solutions. 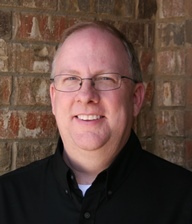 Mark holds a Bachelor of Business Administration in MIS from the University of Oklahoma with certifications in ITIL and TOGAF. Raymond is responsible for all of SIBRIDGE's daily operations, including accounting, payroll, benefits, security and internal IT employee support. Prior to joining SIBRIDGE, Raymond worked at Sprint Nextel for 13 years in IT and Billing operations. Raymond attended Marshall University in Huntington WV.